Construction of this station was completed in August 1940 at a cost of $360,000. It replaced a previous structure on the same site, a modified Jersey-type station built in 1900, which had replaced the original Cleveland LSS, built in 1875-76. 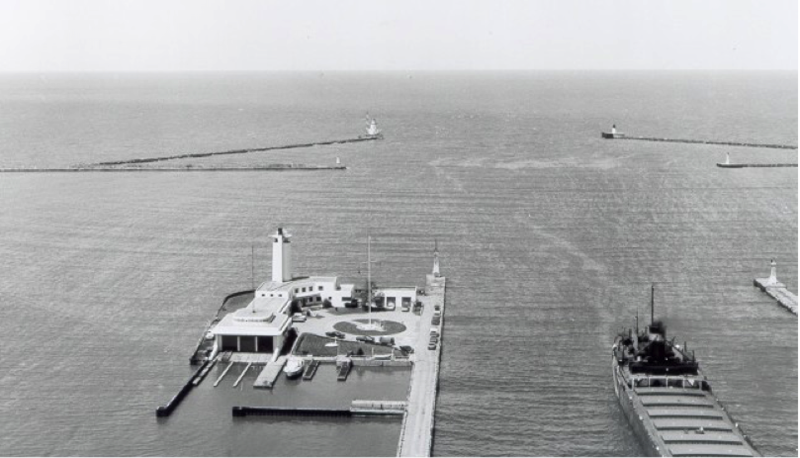 The station lies on an artificial island, at the end of a 1000-foot causeway, on the west side of the entrance to Cleveland Harbor. 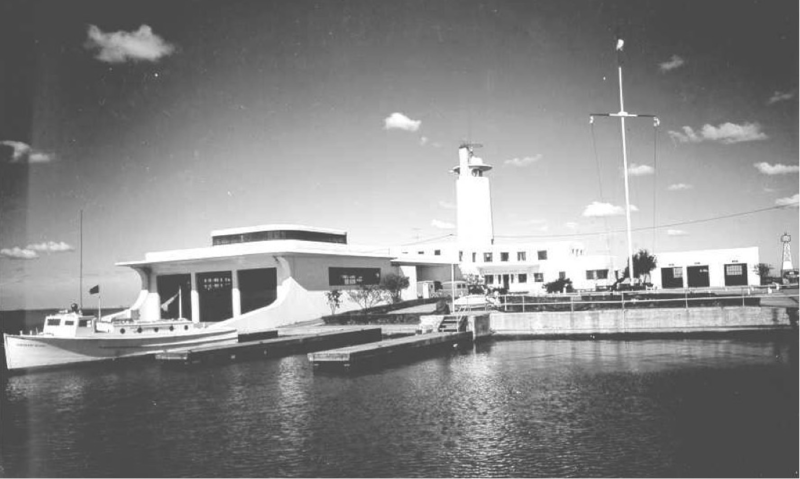 The architectural style is Streamline Moderne, also sometimes called Nautical Moderne. 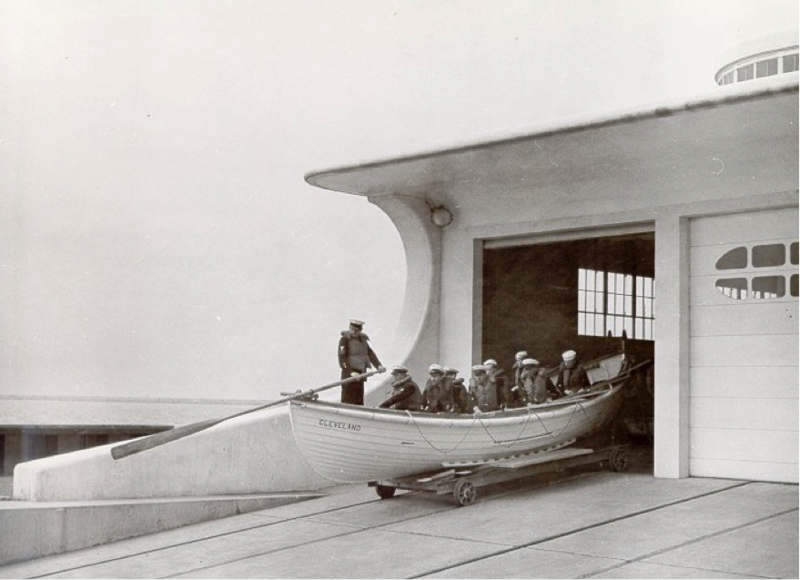 The station has been referred to as “the most beautiful Coast Guard station in the nation.” It was designed by noted Cleveland architect J. Milton Dyer, who designed, among other buildings, the Cleveland City Hall. 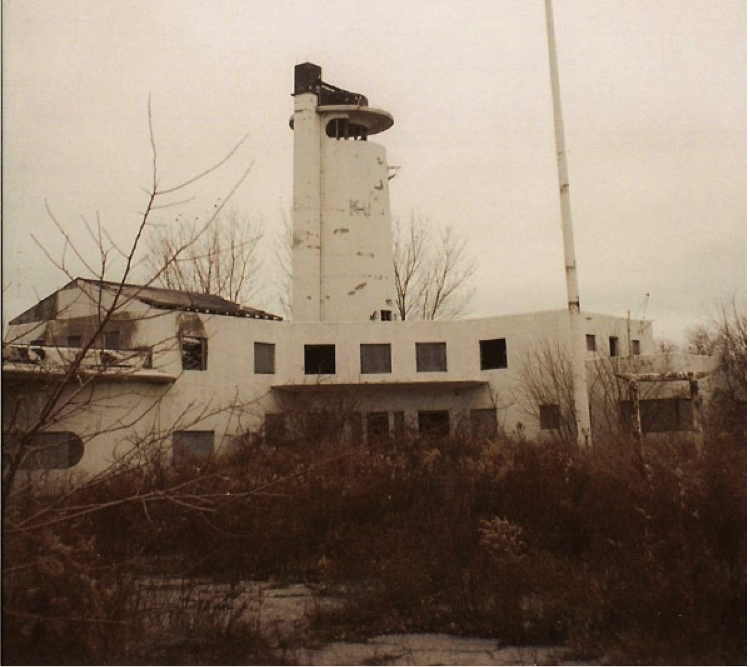 The station remained active until 1976, when the Coast Guard moved to another location and abandoned this site. The station passed to the City of Cleveland in 1978. It was sold to a private firm who operated a disco bar there in 1984, but it closed after one season. The city reacquired the property in 2003. Since then it has replaced the roof, removed the water from the flooded basement, and provided security. In 2015 control was passed to Cleveland Metroparks and feasibility studies were done. In March 2016 Cleveland Metroparks was given a three year lease to begin preservation and restoration efforts, and administer the $500,000 raised for improvements by partner organizations. Plans were made to repair concrete, paint the exterior, improve the landscaping, and install new windows. Plans for its ultimate use are still undecided.